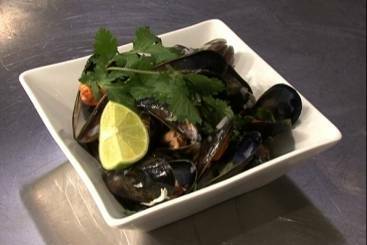 Fresh mussels cooked with coconut milk, chilli, lemongrass, Thai basil and chilli. 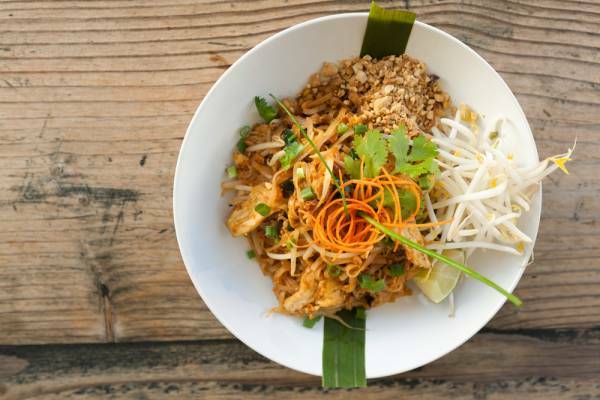 A classic Thai dish with chicken and served with jasmine rice. Boned out chicken thighs stuffed with Thai spices and enoki mushrooms served on a salad of pickled daikon and cucumber. Red Curry is one of Thailand's greatest exports and duck is the ideal accompaniment. In this class you will learn to balance a number of flavours and spices as you make a red curry paste from scratch. A quick and easy curry to put together and a definite show stopper for friends.